“Road to the Triple Crown” previewing the $1 million Santa Anita Derby (G1), the $1 million Toyota Blue Grass (G2), and the $750,000 Wood Memorial (G2). Welcome everyone to this week’s Road to the Triple Crown teleconference. Today we’ll preview the single most important afternoon of racing in advance of the Kentucky Derby, which is this Saturday with three 170-point Road to the Derby prep races. The top two finish in any of these stakes would essentially guarantee you a spot in the Derby starting gate and a third-place finish would get you there most years, if you already have even a few points from earlier on the trail. The races we’re talking about today are the Grade One $1 million Santa Anita Derby, the Grade Two $750,000 Wood Memorial and the Grade Two $1 million Toyota Bluegrass, which interestingly has assembled the most accomplished field of the spring in its first running after being down-graded from a Grade One. All three of these races are at a mile and an eighth. 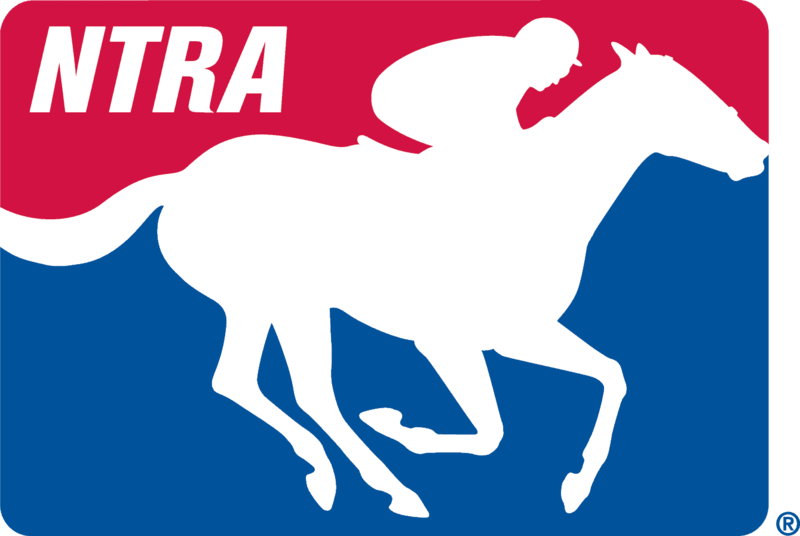 Later on, we are going to connect with Ian Wilkes, trainer of Bluegrass entrant McCraken, who is the top rated three year old in the weekly NTRA media poll. And we’ll talk to Doug O’Neill, who could have as many as four runners in the Santa Anita Derby. But first we’re delighted to be joined by Graham Motion, trainer of the Holy Bull winner, Irish War Cry. He’s got ten Derby points thanks to that win in February but last time out he tired badly in a disappointing seventh place effort in the Fountain of Youth. And Graham of course won the Kentucky Derby in 2011 with Animal Kingdom. Graham Motion, it’s Jim Mulvihill from the NTRA here, thanks for joining us. Hey, hi Jim, how are you? I’m doing great. We appreciate you coming on as always. Very excited to talk about Irish War Cry and see what we have here on Saturday. He came back to Fairhill what, about eight days ago and had a work there on Sunday, so to start maybe you can just give us your impressions of how he’s done since the Fountain of Youth? Yes, so he came back here, he got back here a week ago yesterday and you know, really hasn’t missed a beat since he’s been here. His breeze’s on Sunday, which I might have done anyway but we’d had some rain Friday so the track was pretty wet Friday, Saturday so we chose to breeze on Sunday. He had a pretty good work, worked with an older horse who is probably one of my best older horses. Really the reason for that is because I wanted to ensure that he had a good work. So no, I wish I could give everyone an explanation for why he ran so poorly last time. I’m not sure I can, I just hope he can bounce back from it. Well and sometimes there isn’t an explanation and one of the questions I had for you was, you know, are people too quick to dismiss horses these days that – after just one sub-par effort. I mean Irish War Cry – Irish War Cry was the number one three-year-old in our poll after the Holy Bull. Right now, he’s out of the top ten entirely, so when it comes to the media and the handicappers are we too – too quick to dismiss these young horses after just one bad start? Well I think it’s probably the opposite. I think we’re too quick to jump on their bandwagon to be honest. You know, I think there’s so much attention now for the Triple Crown and the lead up to the Triple Crown, especially with social media the way it is that, you know, a horse jumps out and wins a prep race and everybody kind of jumps on the bandwagon. And look that’s great for the sport, I think it’s tremendous the interest there is – is very exciting but certainly when you’re on the back side of it, it’s not so reassuring how quickly you can get dropped off. But look, he’s got to come out and prove himself on Saturday. I mean he’s coming off a very disappointing effort after running two really big races, he ran big speed numbers and looked very genuine but he definitely had a bad spec on Saturday. Very good, well I’m going to step aside and let Angel, the operator, check and see what the media’s got for you. Hi Graham, just let me ask the real simple question to hope – to see if there’s a complicated answer. How would you regard this three-year-old crop? I think it’s very tough to say Ron right now. I mean there have been some very impressive performances but it seems like by and large, every one – a different horse has sort of won each prep, so I think the jury’s still out. You know, Todd’s horse was extremely impressive on Saturday and ran very fast, ran a fast time. I thought the track was very different on Saturday than the day we ran in the Holy Bull, so it’s a little bit hard to compare the – the times and the races. But look I think – I think as the waters run deeper here in the next few weeks we’re going to sort out the men from the boys, but right now I think the jury’s out. Just looking back on the Fountain of Youth, how much do you think trying to – or how much do you think having others speed in the race as compared to say the Holy Bull and Irish War Cry’s previous races had something to do with the outcome of the race? Yes, I do think so. I mean I – I was a little surprised that Joel chose to lay so close to the pace, you know, we’d kind of discussed the thing I really wanted to do was to get him to fettle and instead I never – I’m not a big believer in telling these guys what to do. Joel is very good. You know, as it was he kind of lay head-to-head to the lead or just off the pace at some point. I would have preferred he come back off the pace. I think I would have learned a little bit more about my horse – I certainly am not blaming Joel for the way he ran because, you know, he really ran an appalling race that day, so – but I – I’d like to think he’s going to settle on Saturday and if he’s not going to settle he’s going to have a hard time competing in these races. In fact, you just read my mind then, I mean is that something that now you have to have him settle at this point or else now your – your hand is tied? Well look, I think he proved that he couldn’t handle it the other day when he was on the pace and I think the time was probably a little deceptive because I think the track was very [inaudible] and I think it probably ran pretty quick that day. You know, if he’s not going to be able to handle that certainly he’s going to have to settle here. Yeah, hello Graham. Excuse me if this question already been asked but having run in the Holy Bull and in the Fountain of Youth, what was your train of thought in skipping the Florida Derby and then coming to New York for the Wood? Yeah, no, it’s a fair question and it hasn’t been asked. You know, my main reasons were I just – I didn’t feel comfortable running him back in four weeks off of that performance in the Fountain of Youth. I’d already run him back in four weeks with the Holy Bull and I just thought it wasn’t doing justice to the horse to run him – wheel him right back in the Florida Derby, which also, you know, had a chance to be one of the toughest preps being a Group One… So I wanted to give him the extra week and quite honestly I wanted to get him home. I wanted to get him back to Fairhill. I thought he’d be a bit more settled here. Get him back into the environment that he’s used to. And my second question is we haven’t had a winner of the Wood win – actually win the Derby since Fusaichi Pegasus back in 2000. Does that – in your line of thinking is that just happenstance, something that’s just happened or what’s your theory on that? Yes, I think it’s happenstance. I think it’s just like we didn’t have a Triple Crown winner. You know everyone got nervous that it’s never going to happen but, you know, I think these things come around. I – you know I came out of the wood with Toby’s Corner who would have been one of the favorites going into the Derby and he got hurt so we – we – I was fortunate enough to win it with another horse, which I never would have imagined could have happened. But look I think it’s just a matter of time before the right horse comes along and will win the Wood and the Derby. Good afternoon Graham, kind of a two-parter here. Yes, you’ve said he won’t be effective unless he learns how to settle at this level, which is true. But my question is, what do you think, and I can’t get that race as a two-year-old out of my head, you know, where he’s coming from last and it’s what do you think ultimately, maybe he’s not for the Derby or not for Saturday but ultimately – ultimately his best game would be? I mean is he – is he a horse that maybe should be taken back and make one – try to make one sustained late run? Is he a tactical kind of horse that – that at least you would hope he would be that. And in terms of getting him back home and back in an atmosphere, which he’s used to and which is certainly quiet and certainly can feel a lot more quiet than it’s going to be five weeks from now, do you have any concerns about the Derby atmosphere? I mean you know, provided you get there and he comes back healthy and all the rest of it. Is that maybe a function – more a function of freshness than his – his overall attitude as an individual? Yes, I think it is. I think it’s freshness and I think three year olds at this time of year change a lot. I mean it amazes me when I take three year olds down to Florida in December and when they come back in March and April how different they are. He’s a good feeling colt, I mean he’s a strong, good feeling three year old, but I’m not overly concerned about how he handles the day but when it comes to racing he just has to be able to switch off to a degree. And I think you just asked me where I envisioned him, what his style would be? I mean I would envision him being a horse that just wants to settle off the pace. I don’t feel like somebody’s got to take a hold of him and drag him back to last by any means. But he just needs to be able to settle off other speed horses. Yeah Graham, Jim mentioned at the top of the call that the Wood is $750,000 the others are all a million; the Wood lost its Grade One – was that even a consideration when you were mapping a plan for this horse? No, honestly not. I mean I just wanted to choose what was going to be the best prep for him and the money really doesn’t come into it, or the Grade it’s at. Had he won the Fountain of Youth I think we would have been looking to try and win a Grade One because that’s so important for his saddling[?] career, but right now we’re just trying to get him back on track and I wanted to run him in the race where he has the best chance to show himself. And why does the Wood fall into that category? What was it about the Wood? Well essentially the five weeks – yes, the five – the five weeks and I think the proximity to Fairhill, you know, had we gone to Keeneland he would have had to have been away from home. As it was this was a way to get him back to Fairhill. He could train on a track where he was familiar. Originally, I actually didn’t know we have to ship up there tomorrow. They want us on the ground three days before, which was a bit of a surprise to me but, you know, at least he’s had a week, a good week back here at Fairhill where he’s had a chance to kind of gather himself and get back on track. Hi, thank you very much for coming on this morning. Irish War Cry was just absolutely thrilling the way he won the Holy Bull Stakes. What sort of horse is he like around the barn and what sort of personality does he have? Yeah, he’s become quite a – quite a handful around the barn. I mean you certainly know that he’s a three-year-old colt but I do find a lot of these three year olds at this time of year get like that. You know, he’s very sensible on the track. He’s a horse that anyone could ride but he is a little bit of a handful around the barn, you have to watch him. And is he a nipper – does he tend to bite? Yes, he tends to nip, especially if you show up without peppermints, he will tend to nip. And Irish War Cry is kind of a mouthful of a name. What do you call him around the barn? We don’t – we haven’t got to giving him a clever name yet but he, so he still just goes by his – his real name. Probably something about what, Irish, yes. That’s okay. And it’s – it’s been such a wide-open year this year, you know, it seems like it could be anybody’s race coming into the Derby, besides your horse, who have you been really watching? Well look, obviously Ian’s horse that runs in the Bluegrass on Saturday has been really impressive. You know, he hasn’t done much wrong. It’s always a concern when he – when you miss a race but I wouldn’t be surprised if that ends up being a blessing in disguise. And I think any of Todd’s group – the winner of the Florida Derby was extremely impressive. I mean he’s managed his horses so well, I think, you know, everyone has to expect the horses that Todd could lead over there for sure. Graham I was wondering if you could describe Irish War Cry just physically and what maybe his best attributes are physically? And if you could maybe compare him – his physical appearance versus Animal Kingdom, what similarities maybe, what differences the two would have along those lines? Yeah, Irish War Cry is very athletic, he would be a much leaner more athletic type than Animal Kingdom was at this stage of the game. Animal Kingdom was a very stout, very stocky three year old. This horse is much more sleek, much more – he’s kind of a narrower horse. Having said that he’s beautifully put together, he’s very correct and I think probably his stride is one of his biggest assets. I think when he – when he settles into his stride he has a very powerful and long stride, which is a big part of why he’s good I think. The past four years the favorite has won the Derby and from 1980 – ’99 no favorite won the Derby. A lot of people think that the institution of the points system as opposed to the earnings, which included two-year-old earnings, is a major reason for that considering a lot of sprint types are no longer in the Derby, would you agree with that? It’s certainly possible. It’s one thing that has changed that – there’s nothing else that’s changed about the Derby or the way it’s handled so it certainly makes sense. I think it’s pretty remarkable to be honest because it is such a difficult race to win. It’s such a race about having good trips and such, so you know, maybe these last three or four three year olds were just really good colts and better than the rest of them. But it is a surprise and I – you know, I do think the points system has worked well in that regard and I must say I was a – I was a little skeptical about it. Graham, there’s just one other storyline I wanted to touch on with you and that’s owner and breeder, Isabelle de Tomaso, who is such a fascinating story. For those that aren’t aware, I mean her story has been told in the racing media but I’m just curious for those that aren’t aware if you could just, you know, give us a little taste of her background and what you know of her just to – just to help get that out there. Isabelle is a fascinating lady who has been very successful on her own right with motor sports, with Formula racecars I believe. She must have been one of the few ladies to participate in that sport back in her heyday and actually, I think that’s part of the reason why she ended up moving to Italy, so she could compete in car racing. Because as a woman at that stage of the game I think it was probably somewhat frowned upon I would imagine. So, you know, she’s a fascinating lady, very successful in car racing and developing cars and it really is a great story and she’s – she’s such a pleasure to train for. I don’t talk to her very often because when I do call her she says, “What’s wrong?” So she’s made it very easy for me and I would love to do well for her. I mean she’s, you know you want to do well for all your owners but somebody like her you certainly want to have the success for. And I understand that she actually came up with the mating that produced Irish War Cry? Absolutely yes, that is true. And I’ve trained the offspring of this mare now for three or four years at least. Fantastic and does she come to the races? Is there any chance she’ll be in New York on Saturday? I think it’s unlikely she’ll be at the Woods but certainly if we get to Kentucky I think she’ll be there. Very good, well Graham, thank you so much for all this information and all of your time as always and best of luck on Saturday. Okay, not at all, Jim, thanks for having me. Absolutely. Graham Motion, trainer of Irish War Cry, looking to rebound in the Wood Memorial at Aqueduct on Saturday. Next up we are delighted to welcome in Ian Wilkes, the trainer of undefeated McCraken. He’s four for four with 20 Derby points from two graded stakes wins but he’s been off since the Sam Davis at Tampa in February because of what Wilkes described as an ankle strain. He’s the 7-5 Morning Line favorite in the Bluegrass, which was drawn just a short while ago at Keeneland. Ian Wilkes, it’s Jim Mulvihill from the NTRA here, appreciate you coming on our call. Thanks Jim, thanks for having me on. Absolutely, it’s always a pleasure to talk to you. McCraken has had three works at Keeneland now. Brian Hernandez has said he’s more focused than ever, why don’t you just tell us your take on – on where he’s at right now? I couldn’t be any happier where he is right now. Just in his works, the mental state of the horse, you know, he’s a very happy horse and he’s liking where he’s at. He’s – and his works have been just exceptional. I’ve been very, very pleased in the way he’s done them, the way he’s galloped out and how he’s come back from them. So I’m very happy where he’s at. We’re very happy to hear that. You know, this is such a solid Bluegrass field on paper, not a – not a huge field, but very accomplished and I’m thinking that might be a good thing for McCraken considering he’s only had one race this year. And as you’re thinking about the Derby and beyond is it – is it time for him to maybe face some adversity before he gets back to Churchill Downs? Yeah, I think you’re correct. You know, I don’t have a problem. I want a solid race for him, I want a good race for this horse. I think he needs it and that’s why I was originally looking for three races for him, but you know, things happen and you take them in your stride and move on. So – so with all that said, yeah, I’m looking to get a really, really good race for this horse. It doesn’t mean that I have to win it, but yeah, I’d love to win the Bluegrass, that’s such a prestigious race but I want to get the right kind of race in this horse, where he gets something out of this, moving in the right direction because he is, just like everyone, our goal is the next race. And just to make sure everyone’s saying the most correct thing, I read you described the minor injury as an ankle strain, is that – is that in your mind the best way to describe it or – or how would you describe most accurately what the issue was that caused him to miss the Tampa Bay Derby? Yeah, I think you’re 100% right in what you said there that it was just – it was very minor. It was case of I could have ran the horse. I could have run him in the Tampa Bay Derby but the whole issue is – the whole issue with it all was the horse had taken care of me as much as I was taking care of him and I couldn’t get the right kind of work I wanted for – for the Tampa Bay Derby, so I just felt it was in the best interest to skip that and just let that – it was just minor – but let it get right and then go forward with him and progress on. Ian, looking back at the Sam Davis, if you look at the field it looked pretty stout in hindsight, how would you – how would you regard that race, not only against his previous three races but against all the other three-year-old races you’ve seen so far this winter? I think it was – the form has held up pretty good out of that race. The horses have come back and been consistent. They haven’t, you know, dropped by the wayside. You look at Tapwrit that’s come back and won the Tampa Bay Derby and was impressive doing it. You look at State of Honor come back, he finished third and I think he run second and then he come back and run second in the Florida Derby. So the form’s been consistent out of it, so you have to be pleased to see that. And in terms of making a move towards the Derby, I mean how much would this mean to you personally. You’ve obviously worked him previously with Carl with Street Sense and going back before that with Unbridled, what would it mean for you with your career to have not just a Derby horse but a Derby horse that’s highly regarded? Oh, it means a lot. The Derby’s the race. That’s the pinnacle of our racing is the Derby. I’ve been very fortunate to win a previous couple of Classics but when you meet people they don’t ask you if you won the Breeder’s Cup Classic, they ask you if you won the Kentucky Derby, that’s the race that everyone knows that doesn’t know racing. And in particular, back in Australia, I mean I suppose – is it the same sort of feeling there in terms of accomplishment or do you find maybe, you know, there’s still that look at dirt racing versus turf racing and you kind of have to explain it to them? No, the Derby is the Derby. It’s like in Australia the Melbourne Cup is the Melbourne Cup and they – they regard the Derby very highly as well and, you know, the Melbourne Cup’s a race that stops a nation. Yeah, they think of it and they do watch it, we see it and watch it and they know who wins. And finally just on breeding from McCraken obviously by a former US champion Ghostzapper and all, can you just take us through a little bit of that, particularly the bottom side breeding? He’s out of mare Ivory Empress, Mrs. Whitham and goes back, I think she’s out of Madam Pandit, and Mrs. Whitham has bred, I think – so I think it goes all the way back. I think she bred the grand-dam and the great grand-dam. I think she did – did it all and just, wow, what do you say? Here’s a lady, a family that has eight to ten brood mares and to generation after generation who come with a horse like this, that tells you a lot about her breeding program. Ian, on paper most people think that the – the race on Saturday is, is the toughest Derby prep race to date. What’s your feelings on that? Do you like the fact that he figures on paper to get tested or would you rather his stiffest test come in the Kentucky Derby? No, I don’t mind this being a stiff test, a little tougher test because I think you have to be a little battle tested. You don’t want to go into the Derby being under done, not – not ready or knowing what to handle. I want him to be able to handle these horses. I think horses get better running against good competition. You get better against – against that type of [inaudible] better competition you just improve, you’ve got to get better. The same with a horse, they have to get better every time you step up. If I just run him against easier competition he’s – he’s got to – he gets a different type of fitness when you run against these type of horses, that’s what I’m trying to say. You’ve got to get that fitness level up to Derby level and you want to – I want a good race in him, I want a solid race. Right, and going into these final Derby preps, it just – it looks like it’s wide open. Besides McCraken your horse, who are some of the other horses around the country that have kind of caught your attention? Yeah, you know what – they’re all good, you’ve got to beat them all. Whoever lines up against you, you’ve got to beat them. The only thing, and I’ve learnt from Carl, Carl Nafzger, I’ve learnt from him is just stay focused on your own horse. Don’t worry about what the other horses are or what they’re doing or anything. If you just stay focused on your horse, don’t mess him up, that’s what he tells me. All right, thank you very much for coming on today. You – McCraken, he was just brilliant as a two year old and now he was very impressive in the Sam Davis of course too. How much has he matured from age two to age three? I think he’s matured a lot, especially – especially when I didn’t want to miss a race but when I missed a race I think he’s a bigger stronger horse now. I think in the long run, you know, at the time I didn’t like it but in the long run it might have been a blessing because this horse has just mentally, physically has matured and I just like what I’m seeing from the horse right now. And how big of a horse is he? I think he’s about 16 hands. You know, he’s a well-balanced horse, he’s tremendously balanced and you can see from his works out how he just glides over the ground and that’s the impressive thing about it, he looks bigger than 16 when he runs. Yes, he does and watching him from out here, yes he does look like he’s bigger. And what sort of personality does he have? Too intelligent. Sometimes I think he’s too intelligent. He’s quite funny. He loves his food, loves eating – you can’t be late giving him his food because he – he’ll just holler and scream, he wants his food. It doesn’t matter whether he works, jogs or walks, he wants it and he’s quite funny. Given that he’s getting a little cheeky now, he needs a good race. Hi Ian. The Kentucky Derby is such a hard race to win and it’s so unique that most people think going into it you can’t have any kind of set backs at all otherwise it’s going to be very, very hard. What do you think about McCraken being able to overcome the little set back that he had? Yeah, you’re exactly right. Timing is everything. I was fortunate enough to watch Unbridled and everything went right with him. I watched Street Sense and everything went right with him. But the good thing with McCraken was, if I didn’t have the race in the Sam Davis, yeah, I would have been in trouble, I’ll be honest, this would have been – this would have been a task I don’t think I could have overcome. But having that race and not missing a lot with him, I think I’m fine because I really haven’t missed any timing with him, it’s just – I just delayed the race a little bit. that and in his other races, especially in Tampa I mean he came from way back and circled the field, is that going to be his running style and does that concern you when you start getting into bigger fields? No, it won’t concern me getting into bigger fields, into the Derby and that. I’m going to leave it to Brian on Saturday where he wants to be. You know, he doesn’t have to be anywhere in particular, he doesn’t have to be eight lengths out of it, he doesn’t have to be in the lead. He can be anywhere you want to be, I think it’s kind of just developed when the gates open. You have to – in this kind of race in a small field you have to trust the jockey and let the jockey ride the race. If you can’t trust him I’ve got the wrong jock – but I feel I’ve got the right jock, so I’m happy there. You know what makes him apart from other horses in a big field,- he’s got a great turn of foot so he can be anywhere he wants in a big field because I think he’s going to get himself out of trouble, be aware of where he wants to be when you call on him. And you’ve pretty much targeted the Bluegrass even before – certainly coming out of the Tampa races, I take it then that the down grading from Grade One meant nothing to you? Or it wasn’t important to you? No. I don’t think it should have been down graded to be honest with you – and even the Wood shouldn’t have been down graded, they’re such an instrumental part of the Kentucky Derby they shouldn’t have been down graded but that’s not my decision. No, I just look at the next race. Okay, and just one last question. Does this point situation bother you? I mean he really would have to get at least third and things – by all rights he certainly should get third or better, much better but things happen in horse races, is that – is that a concern? You know, you can’t think about that. If you’re good enough you’re going to get it and that’s why I’ve always believed it and I think – yeah, if I’m good enough I’ll get the points so – and I’ll go on and that’s the way I just believe in him. You’ve got to trust your horse and believe in him and I do. Ian I just had one more for you. I just wanted to talk a little bit about Brian Hernandez, I mean you guys have had great success together. You kept him on Fort Larned and gave him his most important win and then last weekend he gets to ride Girvin in the Louisiana Derby 12 hours before he gets on McCraken. So I’m curious is there was anything he said to you after the work that made an impression on you and whether getting to be on both of his top three year olds so close together gave him any special insight into how McCraken was feeling? Well boy aren’t you happy for Brian? Isn’t that tremendous, you know. A lot of jocks want to be in that position, they’ve got two good three year olds. They are fortunate to ride two good three year olds and you just couldn’t be any more happier for Brian. And you know I don’t put that pressure on him in asking him about Girvin, because that’s not my horse, that’s Joe’s horse and I wouldn’t like to – I don’t really want to put him in that position of – you know, I did say, “Man you ran good,” you know, and that was the only thing we talked about. But I don’t ask him about the horse, I don’t want to know because like I said I just don’t want to put him in that position. Interesting, interesting. Well Ian, I really appreciate your time and hopefully we’ll get to talk to you again in a few weeks before the Derby but best of luck on Saturday. Thanks mate, appreciate it. Thanks for having me on. Of course, Ian Wilkes, we’ve got the Bluegrass favorite in McCraken, always appreciate his time. And now we’re going to move on to the Santa Anita Derby, which is widely seen as – as completely up for grabs now that the top West Coast three-year-old, Mastery, has been sidelined. Doug O’Neill has won this race twice before with Golden Sense and I’ll have Another. And of course, he’s won the Kentucky Derby twice before with I’ll have Another and Nyquist last year. He’s got four probables for Saturday’s Santa Anita Derby, including the San Felipe winner Iliad, who was second to Mastery last out, plus Milton Freewater, So Conflated and Term of Art. Doug O’Neill it’s Jim Mulvihill, thanks for joining us. Hello Jim, thanks for having me. Of course, we always appreciate your time. You’ve always been so generous coming on so many of these calls over the last few years. Now first off, just to confirm are you still expecting that you’re going to enter all four of those I just named? That’s the plan. As long as they continue to do well we’ll plan on entering all four tomorrow. Terrific and can you just give us your take on the West Coast three year olds this year, how they stack up and how this race is coming together? You know, all four of them are extremely, special individuals although Iliad would probably have to be the top of those four at this point. These horses change so quickly at this stage and – just individually I think all four horses deserve a chance and we all know if you get lucky and run one, two, three in the Santa Anita Derby your next stop might be the big dance, the Kentucky, so all four of them are doing well. Very good, and they all worked on Friday morning. I mean I’m sure they did well because you wouldn’t enter them otherwise, but was there anything that stood out to you about any of those works? Any one that – that’s progressing by leaps and bounds or anything about those works that’s notable? Well you know I think the Iliad’s really impressed me, he’s impressive from the first day I got him. His final work before the San Felipe was impressive he was by himself and maybe didn’t apply himself as much and then he got a little tired there at the end. This past work leading up to the Santa Anita Derby we put a target in front of him and Flavien Pratt who’s gotten to know him better and better was very excited about the effort he put into it and the amount of ease that he did it in and then the gallop up, the energy he showed galloping up. I think he’s coming into the Santa Anita Derby as good as he possibly could be and… The other three worked well. Tyler Baze came out and worked Term of Art and, you know, he had a – he worked by himself, he’s just such a strong, big good-looking son of a gun who’s got tons of stamina and Tyler did a really good job. He basically went a mile around there and – and was really strong at the start and the finish. And then So Conflated and Milton Freewater put in strong works themselves, so I think all of them are coming into it in great shape and just kind of have to see how the race shapes up and how they feel that day. Hey, can you remember since you became a trainer a time going into the Santa Anita Derby when this race was so wide open? Wow! You know I got a D in history Art so it’s not my kind of strength but yeah, there’s a lot of depth really. I guess you can look at it one way that there’s no stand out because maybe the group is kind of weak but I look at it the other way. I think that Mastery might have separated himself from the class if he would have stayed injury free, but with him out, I think it’s just a really deep strong anything can happen kind of year and I think it’s staying that way. So last year coming in – you know, into the Kentucky Derby and then the seeded horse like Niquist, that was an exciting year. Right, which brings me into my next question, do you think you would have entered as many horses into this race if Mastery hadn’t been hurt? That’s a great question. Probably not, no. I think if Mastery was running in it Iliad would have ran for sure but yeah, the other three might have taken a different route so – and his [inaudible] I think opened up the door to a lot of horses that they thought that they could have success come Saturday. And looking around the rest of the country Doug, who has kind of caught your eye as far as horses in other parts of the country going into the Derby? Well I know Ian was just on this call or the call before and I think his horse, Ian’s such a great horse man and McCraken has been such a brilliant horse, so I think the Bluegrass is going to tell us a lot come Saturday. Todd’s colt that won the Florida Derby was, you know, wow, that was incredible the way he was able to track just off the pace and then explode down the lane. He’s got the right style to be really tough. Gosh, it seems like forever since Niquist last year – was this group – do any of this four remind you at all of Nyquist? You know I think the closest one would be Iliad just because Nyquist had such brilliant speed and he could carry it and Iliad kind of displays that too. He’s got a lot of quickness and he displays a lot of stamina in the morning. So I think of the four Iliad would be the one closest to Niquist. And Iliad, wasn’t he one of the Shah horses that kind of showed up suddenly in your barn? Yeah, honest to god he was like a late Christmas present getting that phone call and him, now that was incredible and, you know, here comes American Gal, here comes Iliad, here comes a few promising babies, here comes – it was just a very fortunate moment for me when that happened and so just – it’s exciting times. Thank you for that. And you have another Reddam horse in So Conflated. We saw him up here in the Cal Derby and he was very impressive. Tell me a little bit about this horse… is he another I’ll have Another or is he a late bloomer? What’s happening with him? That’s funny, Deb. We think of him as I’ll have Another. As I’ll have Another, he’s just so strong on a daily basis and he virtually [inaudible] every day and I was real excited about him going in to the New York race. He settled in real nice, borderline quiet we deemed it at the time what a mature son of a gun and he was just flat. He didn’t that trip didn’t serve him right and he just never had much energy back there and got him back here. We ran a series of tests and he cleared all the tests so we just kind of have refueled the tank, given him a little time and he’s training really good. If you can put your thumb over his last race – he has a chance come Saturday, so, yeah, he’s going to be off the radar if you will prior to Saturday but hopefully he’s back on – in the hunt come Saturday late afternoon. And Milton Freewater is – is such an unusual name, how did that horse get that name and what was its inspiration? After he won his debut for Dr. Mike Harrington owned and trained him and so – I think he’s named after a movie character – I think he’s – he’s a horse that’s going to want to come from – from off the pace and – and you know the old pace makes the race. If something happens and there’s a crazy melt down early I could see Milton picking up the pieces. And – and Term of Art, he’s – has he been kind of a late bloomer for you? You know, he’s such a cool horse. He’s run so many times that it’s funny. When you look at him, he’s got to be near 17 hands and I don’t know how he fits in the starting gate sometimes. He’s such a tall horse and he’s got a beautiful mind to him, a beautiful stride and he is a horse that when you look at him he looks like a horse that might not have his debut until he’s a four year old and here he’s had I think eight or nine starts already so. I think he’s just going to get better and better with racing and Tyler Baze has ridden him a few times. He loves him and he really knows him well. He would not shock me at all – he’s got the pedigree, he’s got the body, he’s got the mind, he’s got the continuity of the rider and in Cal he made form so they’re really heating up their three year olds so hoping to add to their list of nice babies. Doug, what can you tell us about what was going on behind the scenes when the Shah horses came to you this past winter, this past fall, whenever it was? Behind the scenes? I know they had a lot of success, they had a good long run, and every now and then, you know. The team breaks up a little bit and the Head Coach from the team separated – so I really don’t know and I haven’t asked Tony, I just really focused on what an unbelievable opportunity it was for me to get some of the Italian Shah horses, so I’m enjoying the moment with that. So do we need to be on the lead or do you kind of have to look at the rest of the entries to figure out who is going to be bringing the speed to the race? Oh yeah, he does not need to lead and we actually breeze them [inaudible] behind the horse but – he’s fully run because even when he’s by himself, yeah, he could go as slow as you want him to. So he’s another that doesn’t have that accelerator stunt kind of mentality, he’s got speed for sure but he can definitely settle and sit off and, you know, with Flavien getting to know him, with each work and each race, it’s a huge benefit for all of us to have – to see the results move forward, so. Yeah, he does not need to lead. When Mastery won the San Felipe by six and three-quarters, do you think he was six and three-quarters ahead of everybody else in the – on the Derby trail, or do you think there’s some work to do for your horse and other horses to kind of make up that ground because somebody else might be out there to assume the mantle of Best Derby Horse going right now? Tough question. I think the amazing thing of getting a horse to the Derby is keeping him injury free during the tournament run if you will. Mastery, as brilliant as that was, he was kind of a lightly raced horse and then he got bit by the injury bug. That’s so hypothetical to know where he was but I can tell you, Iliad put in a good push in the last April work and that was strictly a fitness thing and that was my fault. He’ll move way forward off that effort. I got to learn that through his final prep going into the San Felipe, I worked him by himself and I don’t think he got enough out of that you could even tell – Nyquist did this to us before too, when they’re given everything they’ve got and we’re still try and ask them for more, he was even swishing his tail almost as if to say to Flavian, you know, I’m doing everything I can so stop hitting me. I learned a lot in the defeat there and I think we’re going to move forward come Saturday. And finally, when you look at the breeding on Iliad certainly has something in common with McCraken with Ghostzapper being the Sire and he’s something in common between the two horses because of the pedigree. Well that, you know, individuals like McCraken and Iliad and they can call Ghostzapper their father that’s a strong thing. Ghostzapper, he’s such a tremendous race horse himself and – and you know, his offspring have been – done pretty darn well as well so yeah, I guess it took class into to both of those – both of these nice individuals. Hi Doug. You know chances are all four of your horses won’t make it to the Derby, is the consolation that missing the Derby might not be so bad for a promising horse? Wow, I’ve never looked at it like that but if, you know, if you don’t make it to the Derby, then yeah, there’s multiple good results that could still come your way, you know, if you move forward. So it’s a challenge you get to and I think with the points system, that keeps you from really throwing a Hail Mary. You know, to get in there you have to have a pretty good resume so, you know I think that if you make it there, you enjoy and you embrace the whole treatment of, you know, you and your horse making it that far. Well I mean you know I ask that question because it seems like Nyquist was never quite the same after winning the Derby last year and a horse like [inaudible] for instance didn’t even make his debut until April of last year, so is – is there sort of, you know, kind of a parallel to that? I don’t think so. There’s been human athletes where they, they peak and valley in different places in their caree. Nyquist after the Derby did seem a little deflated even though it didn’t seem like it to us but his performances dipped and, it was obviously a result of the campaign of getting him to the Derby but he never let on that he was dipping. I think it’s just something of an inexact science and we – we try to know your horses as best you can but no matter how you think they’re going into it, you know, the end results are all that matters and you’ve got to listen to that. So final question regarding that, was there ever, you know, an evaluation sort of like after the fact of like what – what happened to Nyquist and could the campaign have been run differently? You know, I mean obviously you said the horse didn’t really show that he was worn out after the Derby but his results didn’t quite, you know, weren’t what they were before that. You know, we monitor all the horses so closely and, you don’t lead them over there unless they’re 100%. Again they are not machines, so as much as you’d love to have them consistently run bang up races, like humans they sometimes aren’t feeling it that particular day or that particular month or whatever. We’re horse caretaker. You’re also kind of trying to play the mental aspect of it too – how they’re feeling and their energy. It is a real inexact science but you do the best you can and you’d love them to win every race and be as consistent as possible but unfortunately they are living beings and they have their ups and downs. Yeah, Doug, with all the million dollar, 100 point preps around the country these next couple of weeks, did you ever consider sending any of these four out of town or is this an instance where, you know the race is here and I’ve got four horses that fit it, why not just run them all? You know, I think it was like that Tom. The fact is it’s [inaudible] was such a blessing. Travelling – if you’re not one of the favorites, travelling not only is it expensive but it can take a little toll on your horse too. The less you can do it and even though, you know, a couple of our four might be outsiders , you’d rather be outsiders in your own backyard if they’re doing well than take them outside their natural surroundings and be an outsider. So I think there’s just – it’s easiest that way. All right and then just – I hadn’t planned to ask this but kind of a reaction to the last question about Niquist and winning the Derby. You’ve won the Derby and you’ve won scores of other big races but winning the Derby is still the thing isn’t it? I mean you’ll trade everything else for winning the Derby? I don’t mean everything, but… you get the idea of what I’m saying. There we go. I had two questions, first off how many horses do you have for [inaudible] Doug? Then sort of a follow up on the question that was just asked, but more from a wider standpoint. Obviously when you’re training horses you know you’re constantly moving forward and training and working but with the success that you’ve had winning two Derbys in the last four years do you ever sit back and kind of appreciate what an accomplishment that is? Hmm. Well you know I think the beauty of it is you’re always in the now because there’s always something going on, good and bad but yeah, I think having, you know, been blessed with good friends and a family, there’s many evenings where you’re reminiscing about the amazing horses that we’ve been blessed to be part of. So it’s been a few [inaudible] where we’ve enjoyed the heck out of the two Derby wins that’s for sure. And then as – as a number of trainers say that you don’t know what it’s like to win the Derby until you win it but then once you’ve won it, it’s almost like having that feeling again is what kind of keeps you going to win another one. Have you sort of experienced that yourself or is that not the case for you specifically? I don’t think it’s the case for me specifically. You know, we’ve got lucky enough and won a maiden race the other day. A good friend of ours and [Inaudible] passed away and I mean that really moved me and a lot of my buddies to almost to tears because of what that horse means to us. When we looked at the horse, we think of our buddy and you know I really think it’s – the Derby it’s unbelievable, no doubt about it but – these horses are unbelievable and when you bond with them and then you see that they compete and they give everything they’ve got and there’s a win involved, it’s – that in itself is pretty amazing. Hey just talk about Iliad, the San Vicente, what kind of performance was that because he’d just come into your barn and just rocked. How about that and where’s he gone from there to now, do you think? Well I think yeah, that – that, yeah, he was a horse that came over to us I think that had been stay out of his way and, you know, let him continue to blossom and that was so exciting and such a big win and – and as we got him ready to [inaudible] with the San Felipe. He ran a really solid race but just came up a little bit empty on the end and I’m pretty optimistic that we’re going to see more oomph to him late come Saturday and he’s one to watch. Do you think that he is continuing to mature both physically and mentally right now? I think he is, Danny. Yeah, he’s always been a very mature horse both physically and mentally and I think he just needed a little help stamina wise. I think he’s reached peak form where you’ve just got to – as a trainer you’ve got to make sure that he’s got as much air as he can handle and I think we’re feeling good at this point. The Kaleem Shah connection, I know he’s knocked on the Derby door a few times, are you excited for him to have a horse like this with an opportunity again? Oh big time. I mean Kaleem’s put a lot of money in the sport, he loves the sport. He’s had a lot of success in the sport and yeah, it would be really cool to be part of, you know, a successful Derby campaign with Kaleem and I know it would mean everything to him. For his family, you know horses are right up there in is daily life and, you know, he loves them and so it would mean a lot. Thank you, this concludes today’s call. Thank you for your participation.